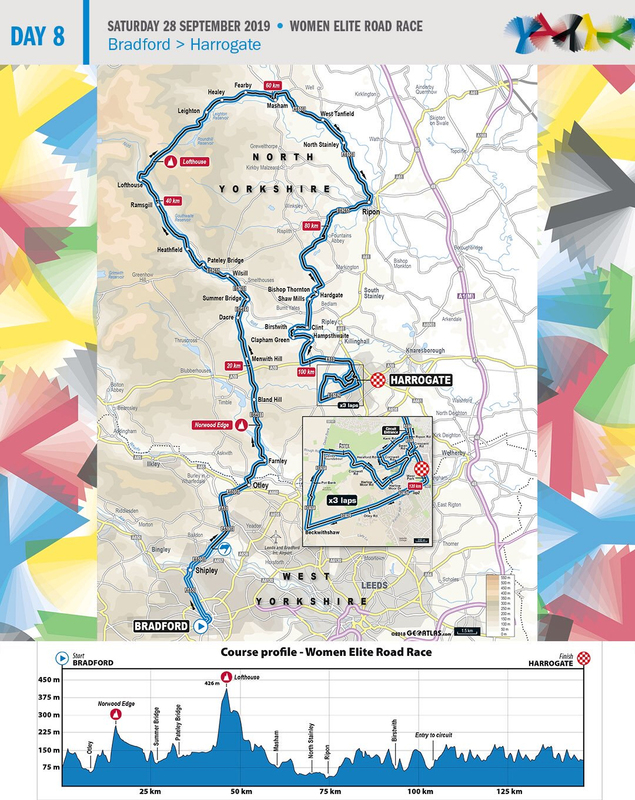 UCI Road World Championships – Nidderdale 2019! Nidderdale has TWO UCI Road World Championships cycle races coming through the area on Friday 27th and Saturday 28th September 2019! 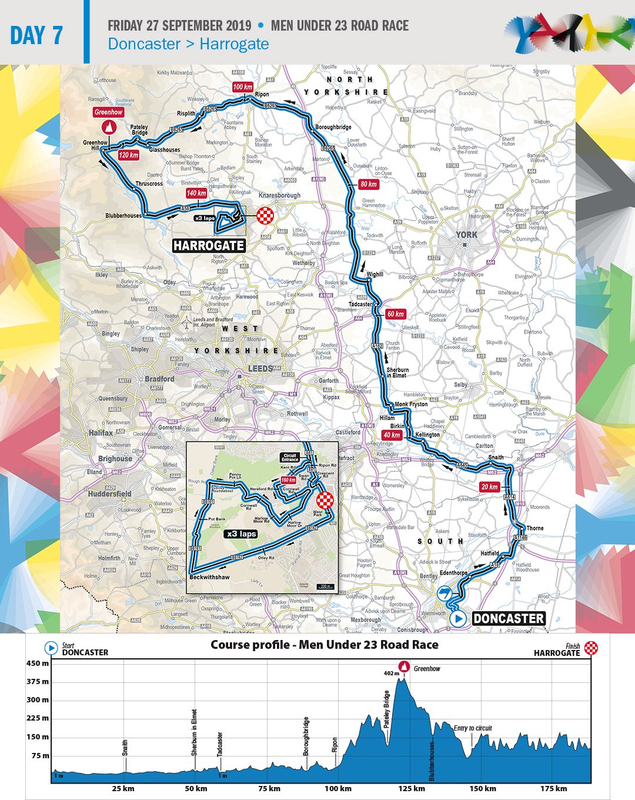 On Friday 27th September, the Men’s Under 23 Road Race will be starting in Doncaster and finishing in Harrogate. The race will come through Nidderdale via Ripon towards Fellbeck, down Pateley Bridge High Street, up Greenhow Hill and towards Blubberhouses. The Men U23 RR is a tale of two halves with a flat opening 90km followed by a tough and testing finale. Averaging 8.6% over 2.8km, the climb at Greenhow Hill be particularly gruelling.